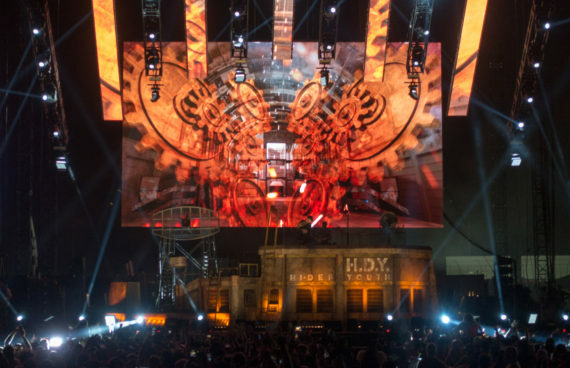 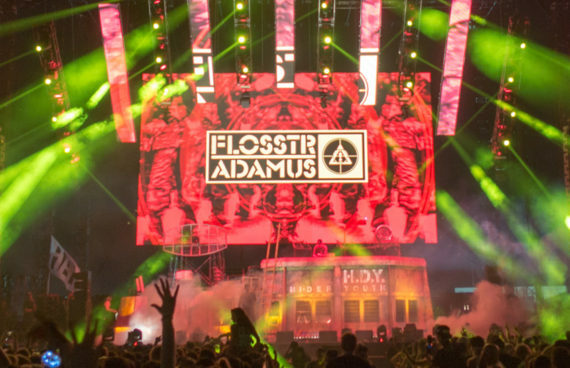 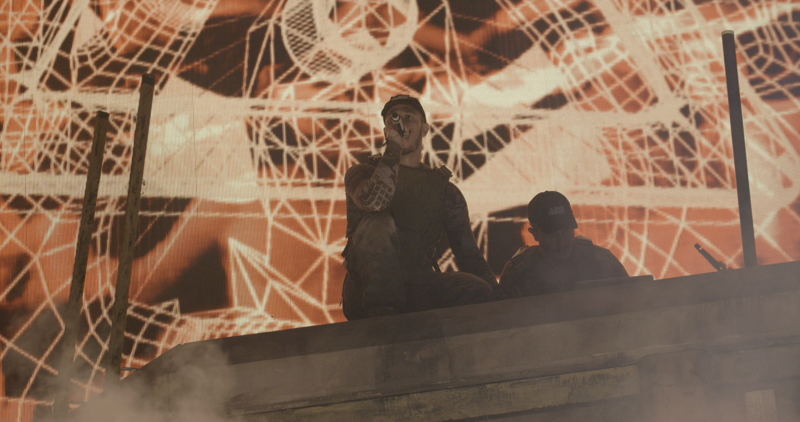 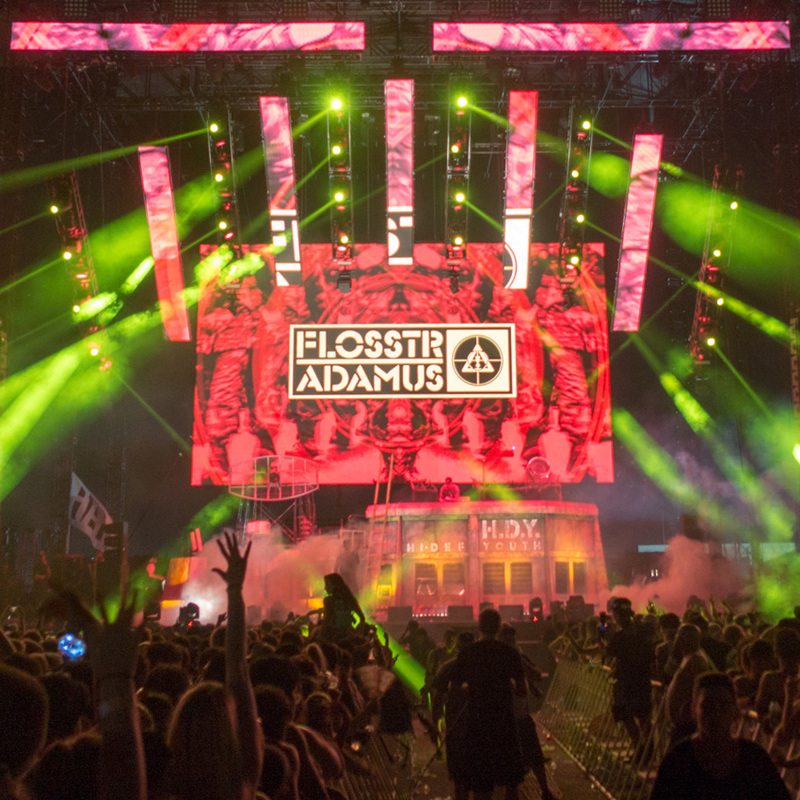 Flosstradamus is famous for their wild post-apocalyptic stage design and high energy performance. 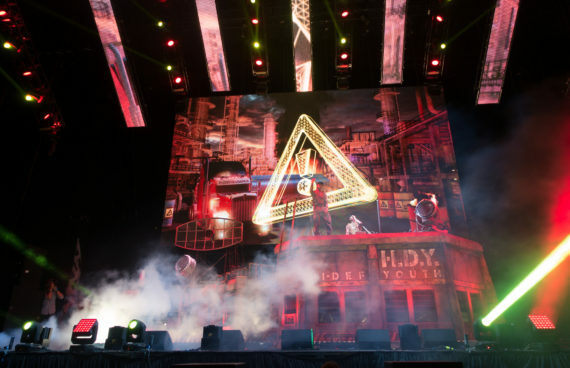 This year they chose “Desert Storm” as the theme for their summer of 2016 festival run and the nation-wide tour to follow. 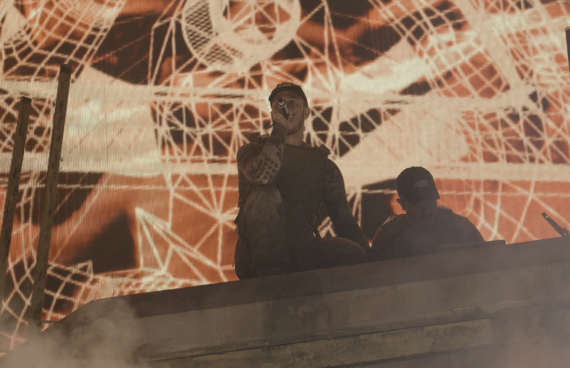 With a G.I. 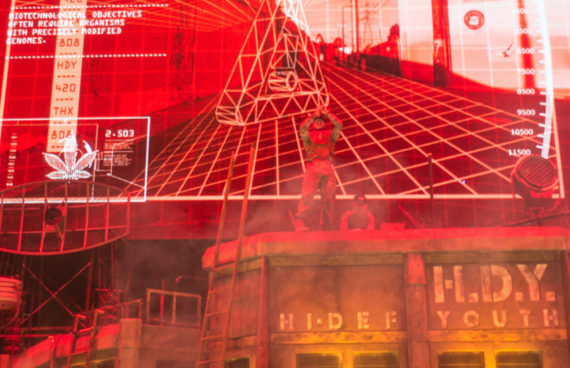 Joe style Army bunker as the stage concept, they chose Immanent to provide the visual experience to go with it. 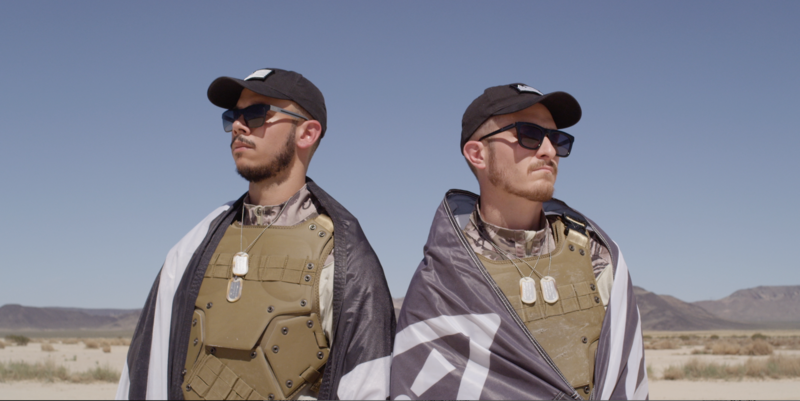 With the obvious military themes that could go with a “Desert Storm” theme, we decided to take it further. 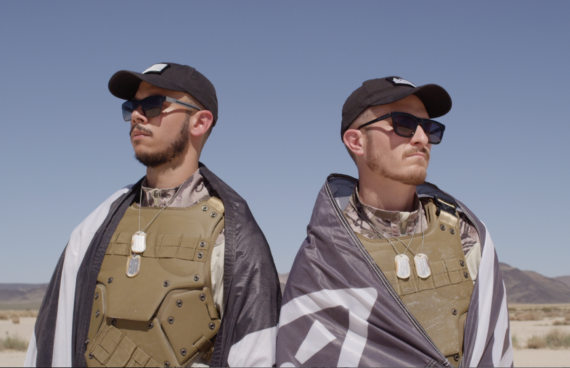 We looked at what was taking place culturally in America around the time of Desert Storm as a reference point. Influences for our design came from early 90s CNN graphics, Public Enemy, metal bands, the Los Angeles Riots, industrial music groups like Ministry and Nine Inch Nails, and action films like The Terminator and Predator. 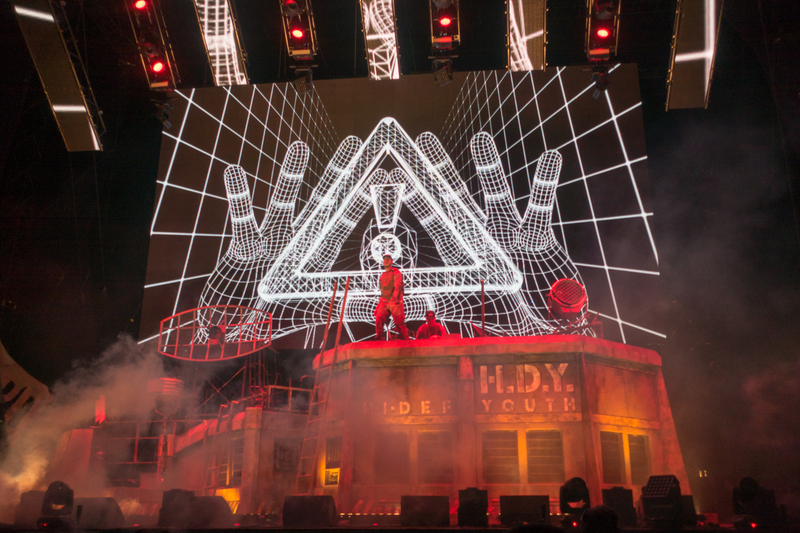 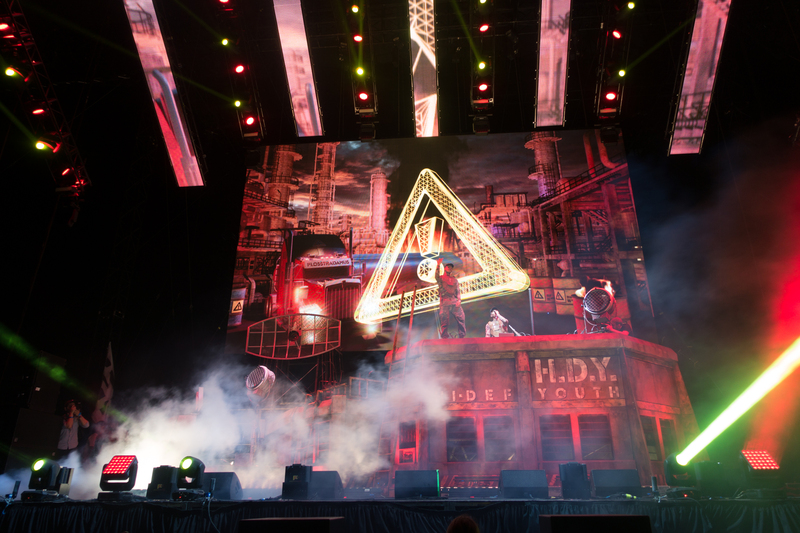 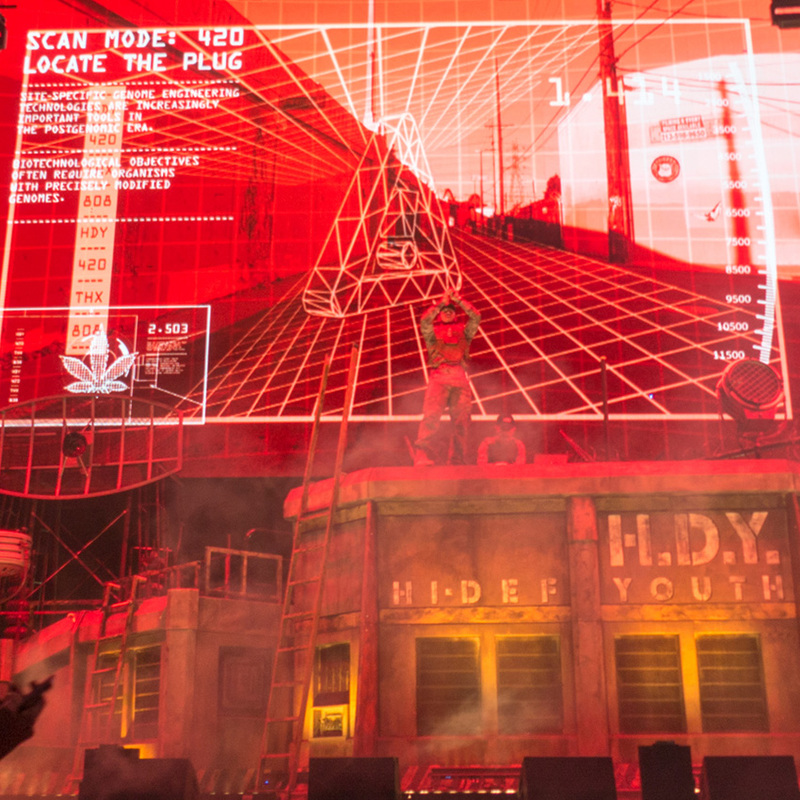 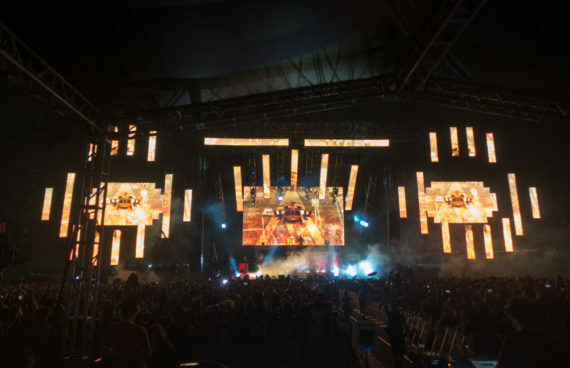 The visual content package debuted in Flosstradamus’s home town of Chicago as they closed out the dance music stage at Lollapalooza.